New Toyota COP's and tested RX7 460cc PnP's - Miata Turbo Forum - Boost cars, acquire cats. 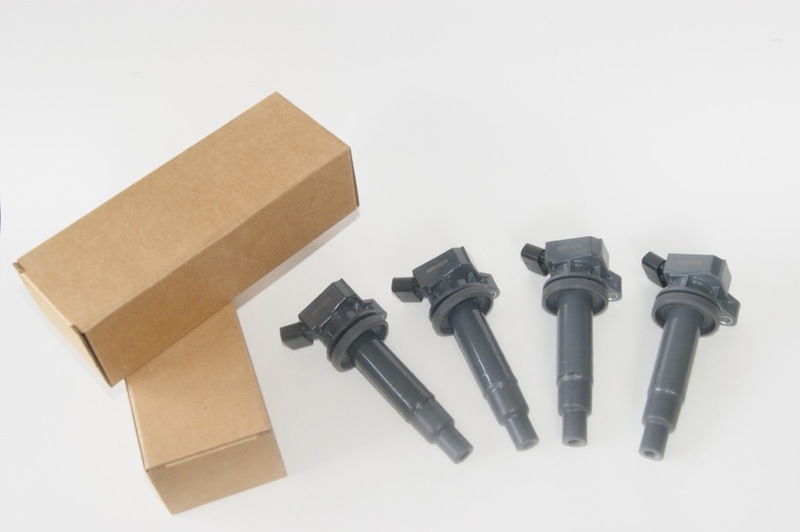 A new set of Toyota COPS part number 90919 02239 are up for sale. I have no harness's for them unfortunately. I also have some cleaned and tested RX7 S5 460cc high impedance plug and play injectors. I have paper work of flow test and will provide video footage of them on the flow bench. PM sent on RX7 injectors. Are these oem denso coil packs or aftermarket? Sorry for the delay. These are aftermarket. Got my injectors today, look like they're in great shape. Now my hands smell like fuel. :( Thanks so much! Do those COPs say motorking on the side by chance? No they don't. Is that a good or a bad thing? I'm not sure - no markings on them as per the picture. The reason I ask is because that price seems a little steep expecially considering they are not densos. True, What's a fair price then? Well put it this way I got a set of used OEM Denso's for 40 and some off brand no names for 60. The off brand no namers burnt out after 4 months of occasional driving. Where as I been DD on my Denso's for about 6-7 mths now. My point is off brand COPS can be had on eBay all day with warranties for around 60 bucks.